The last nuclear reactor planned for the U.S. receives critical government support. Plus, its first Toshiba payment. The Trump administration announced conditional commitments for $3.7 billion in loan guarantees on Friday to keep the country’s last new nuclear power plant construction effort from folding. It’s the first time the administration has tapped the Energy Department loan guarantee program that also funded Solyndra, and comes on top of $8.3 billion in federally-backed loan guarantees received by the project over its 10-year lifetime. Meanwhile, Energy Secretary Rick Perry’s request to federal regulators to create a market value for baseload nuclear and coal power plants could provide the industry an additional boost -- if the notice of public rule-making (NOPR) filed with the Federal Energy Regulatory Commission last week survives the near-unanimous criticism it’s received from across the energy industry and policy spectrum. Friday’s decision to extend DOE loan guarantees to the struggling Vogtle power plant in Georgia was not unexpected, given that it was necessary for the project to survive. It was also presumed to be part of a package that allowed Georgia state regulators to vote last month to allow the project to move forward. Co-owners of the project will receive loan guarantees of $1.67 billion to Georgia Power, $1.6 billion to Oglethorpe Power Corp. and $415 million to three subsidiaries of Municipal Electric Authority of Georgia. However, they will need to be matched by a few more conditions, Stan Wise, chairman of the Georgia Public Service Commission, told Bloomberg. Those include extending federal tax credits for new nuclear units, and receiving a $3.7 billion payment guarantee from Toshiba, the parent company of bankrupt nuclear power plant developer Westinghouse. 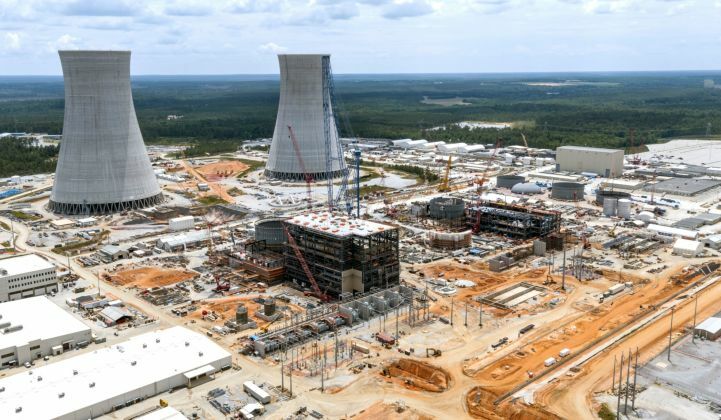 Toshiba made its first, critical payment for the Vogtle nuclear expansion project today. The $300 million funds transfer, of which $137 million is Georgia Power's proportionate share, is the first of multiple scheduled payments to the project's co-owners. Friday’s decision comes amid a rash of cancellations of large-scale Southeastern nuclear power projects. In July, Santee Cooper and South Carolina Electric & Gas (SCE&G) abandoned plans last month to complete two reactors already under construction. In August, Duke Energy canceled work on its Levy Nuclear Project in Florida and its Lee Nuclear Station in North Carolina, both as part of rate-case settlements with state regulators. The cancellations have largely been precipitated by the bankruptcy of Westinghouse, but they’ve also come alongside policy and economics-driven nuclear power plant closures and accelerated retirements. Recent closures include California’s San Onofre plant, Wisconsin’s Kewaunee plant, Vermont’s Yankee plant and Florida’s Crystal River plant. New York’s Indian Point facility and Diablo Canyon -- California’s last remaining nuclear power plant -- are slated to close in the coming years. This language coincides with the tone of DOE’s NOPR to FERC, also filed on Friday, which stated in absence of clear evidence that the “the continued loss of fuel-secure generation must be stopped” in order to protect grid reliability and resiliency in the case of storms, terrorist attack or other major disruptions. Friday’s request cites the DOE grid study conducted on Perry’s request over the summer, and released in final form in July, to support its conclusions. But that study did not, in fact, conclude that the current rate of nuclear and power plant closures was a threat to grid reliability on broad measures, as long as natural gas continued to remain cheap and plentiful. The NOPR also cites the 2014 polar vortex as proof that the grid needs generation that can keep at least 90 days of fuel on hand -- a characteristic that applies almost exclusively to coal and nuclear power plants. But it does not address the fact that coal piles froze during the vortex, or that wind power and demand response made up a significant share of the region’s response to the event. 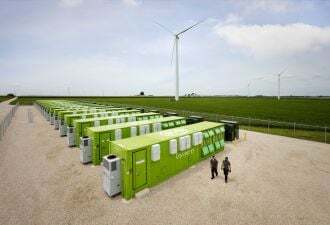 Nor does it consider how distributed energy resources, whether carbon-neutral or fossil-fueled, could play a role in reliability amidst major disruptions. GTM Research has joined in the chorus calling the NOPR’s reasoning “flimsy and vague,” and protesting that it amounts to a value-of-coal and nuclear tariff. DOE has also asked for a 60-day response from FERC, which would short-circuit most of the stakeholder processes the agency has in place to deal with market changes of such significance. Of the five-member commission, none remain from the Obama administration save Cheryl LaFleur, former CEO of National Grid. The new appointees include Robert Powelson of the Pennsylvania Public Utility Commission and National Association of Regulatory Utility Commissioners; Kevin McIntyre, an energy attorney at the large international law firm Jones Day; and Richard Glick, Democratic General Counsel for the Senate Energy and Natural Resources Committee.